Indian beaded wraps make any woman look more beautiful, mysterious, and stunning. Indian beaded wraps can be worn in a variety of ways and are truly a versatile fashion accessory. There is no completely right or wrong way to wear an Indian beaded wrap, which makes it so unique and fun to wear. Many women love wearing Indian beaded wraps to get a fashion look that is uniquely theirs and stands out in the crowd. Indian beaded wraps contain a craftsmanship that is unparalleled in the world of fashion. No other country has mastered the art of creating beaded wraps more so than India. In India, wearing Indian beaded wraps is almost like a way of life for women. Women wear beaded wraps as a complete dress, rather than as just an outer garment or accessory. There are many Indian women that may live in other countries and want ways to go back to their “roots.” One way to go back to one’s roots is by wearing Indian beaded wraps. These wraps hold so much tradition and history that any Indian woman will feel completely restored in the culture she grew up with. 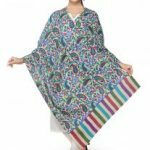 Women feel more like a part of Indian culture by wearing these beautiful wraps. To get a completely look at the next formal event, you may want to wear an Indian beaded wraps. There are many types of Indian beaded wraps that can be catered for more formal events. For more formal wraps, one will notice that there is more intricate beading and embroidery on the wrap. Often, the wraps for formal events have the utmost craftsmanship and may have taken years to create. 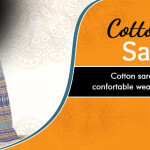 Of course these types of wraps may be more expensive, however, the expense is worth it for the high quality of garment that one receives. 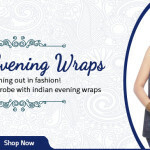 An indian wraps has become one of the staples in the world of fashion. Look through any fashion magazine, and you are sure to see a more contemporary approach to the Indian wrap. 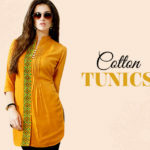 Many fashion designers have simply taken this traditional garment and put a twist on it to make it more contemporary and stylish. Some designers have kept the traditional style of Indian wraps, but have just tried creating their own version of this classic garment. indian wraps can be created in virtually any color that a woman wants or needs. 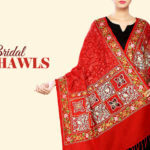 One of the most beautiful colors an Indian wrap can be created in is red. Red is the color of purity and desire in India. Red holds much great meaning in every culture, but in India it is the color of marriage. When a young woman gets married, she will typically wear the color red in India. Red signifies a woman’s entrance into the sophisticated world of adult women. Indian wraps can also make a great gift for any special woman in your life. If you know someone getting married, then why not purchase a gorgeous beaded wraps for her to commemorate her wedding? A beaded wraps will last forever and is a very thoughtful gift. 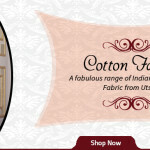 Cotton Sarees: Because Comfort Is A Statement Unsaid!